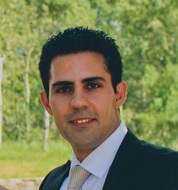 Masoud Niknam has finished his Master studies in Production Engineering at Chalmers University of Technology in Gothenburg, Sweden. In this period he obtained a minor subject in Industrial Management and also focused his research in the area of Lean Production and Product Development by performing projects in different companies such as Volvo Group, Volvo Cars, Scania, Atlas Copco and Kongsberg Automotive. He then worked as product development consultant for the years of 2010 and 2011 at Volvo Group and achieved a high level of practical experience in Project Management and Product Development which led to his eligibility for being certified as Project Management Professional (PMP) by the Project Management Institute (PMI). Following his interests in research, he then joined Institute of Information Management in Engineering (IMI) at Karlsruhe Institute of Technology (KIT), to be responsible for a research project entitled "Configuration Management in Scientific Infrastructures" which is part of a European Union Funded FP7 Marie Curie Project called PURESAFE. This Initial Training Network (ITN) project is a collaboration among nine partners comprising research institute, industrial partners and scientific infrastructures such as CERN and GSI.